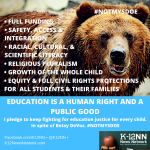 You are here: Home / Ed Tech / People-Powered Public Education News: K-12 News Network Turns Four! K-12 News Network Turns Four! It’s January, 2015, and K-12 News Network has been doing ground-breaking, people-powered public education news covered from the classroom up for FOUR years now! Thank you, readers, bloggers, and activists, for being folks actively making a new kind of education news. 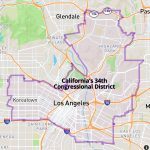 In August, 2010, when the LA Times crowed about its foray into digital journalism with the release of its Los Angeles Unified teacher ranking system, I reacted with disgust. At no time during the release of ratings were they transparent about their methodology for arriving at so-called “value-added” rankings for perhaps 18,000 of the 40,000-plus teachers actively teaching in LAUSD. My hometown newspaper trumpeted a now thoroughly discredited (by the American Statistical Association, no less) approach to measuring teacher effectiveness using student standardized test scores, and in doing so embraced the agenda of neoliberal groups bent on commodifying the work students do for the gain of private companies. Actual researchers whose work it is to compile education statistics ripped the Los Angeles Times’ methods and results to shreds. (The rankings still remain on the LA Times’ website to date.) The Los Angeles Times did this while clinging to the mantle of “objectivity,” believing, perhaps, that numerical rankings are objective. And they did this in the middle of the biggest wave of teacher firings in decades brought on by austere budget cuts as the result of the Great Recession. K-12 News Network was born out of my frustration as a parent with useless, agenda-driven education news. State lawmakers made severe cuts to public education due to the Great Recession. My child was entering kindergarten as these drastic cuts were happening. So I took big steps. As a political blogger, I was tired of the hoary journalistic chestnut, “the myth of objectivity,” which has been summarized by journalism professor Jay Rosen as the dumbest kind of she said/he said news, the kind where if told the mind-blowing news that the earth is round, a reporter would have to quickly add: “in other news, people claim the earth is flat.” And I was tired of news dished to me as if I were a passive consumer. In 2010-2011 I was a UNITY NewU Fellow and got a grant plus mentorship from some of the most brilliant and seasoned journalists of color to launch K12NN. In 2011, I won an award from some of the top women who blog in the U.S., and in 2014, they invited me back to tell my story. Online organizing tools on a civic engagement platform — we featured campaigns created by citizen watchdogs to ACT on the corroborated and thoroughly researched findings they dug up. And together, the people using K12NN’s tools and participating in the community got results. 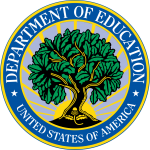 Investigation of Deasy by the FBI and a U.S. Department of Education report that touched on and validated every single criticism we made at K12NN over 18 long months of holding the Deasy administration’s feet to the fire. When United Opt Out, a national grassroots group of teachers, parents, and community members got hacked, we rebuilt their site. We provided training and helped the organization use powerful new tools. We’re host to some other grassroots sites on our network who are leaders and organizers with impact on local school issues, school-level advocacy, district-wide impact, and influencers of the national conversation on teacher temps. Now we’re ready to keep inventing creative new ways to engage families of school-aged kids in understanding and filtering the news. We’ll be at the IWMF Conference “Cracking the Code” to take this woman of color’s new kind of digital news and civic tech entrepreneurism to the next-level. We’ll also be discussing inclusive community-driven media at Mercer University’s Center for Collaborative Journalism Media Innovation Weekend. And we’ll be getting our civic tech nerd on at Netroots Nation in 2015. Look for new projects we’re developing around participatory school budgeting, No Child Left Behind reauthorization, and other important issues, like who’ll be the next Superintendent of the nation’s second largest school district and how will a possible turnover of four seats of the school board alter the direction of Los Angeles Unified? Stay tuned, and jump in with us! We live for hyperlocal coverage of what’s happening at local schools from the ground up. There’s no issue too small or too local. We can give you assistance if you want to start your own site that covers school news as you see it.